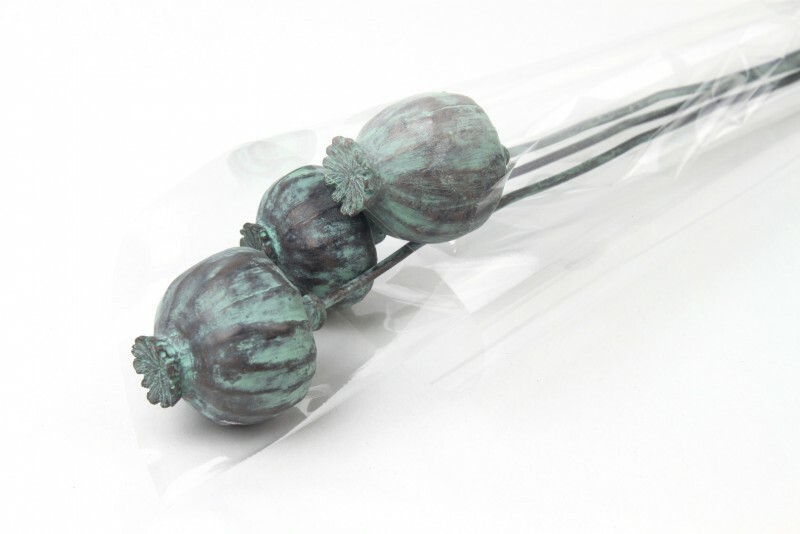 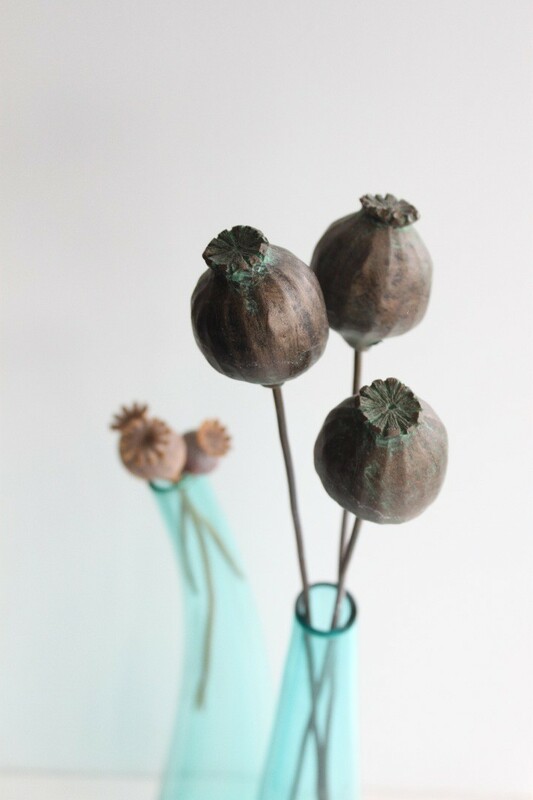 This is a set of three individual small poppy seeds hand crafted by in a stunning verdigris finish. 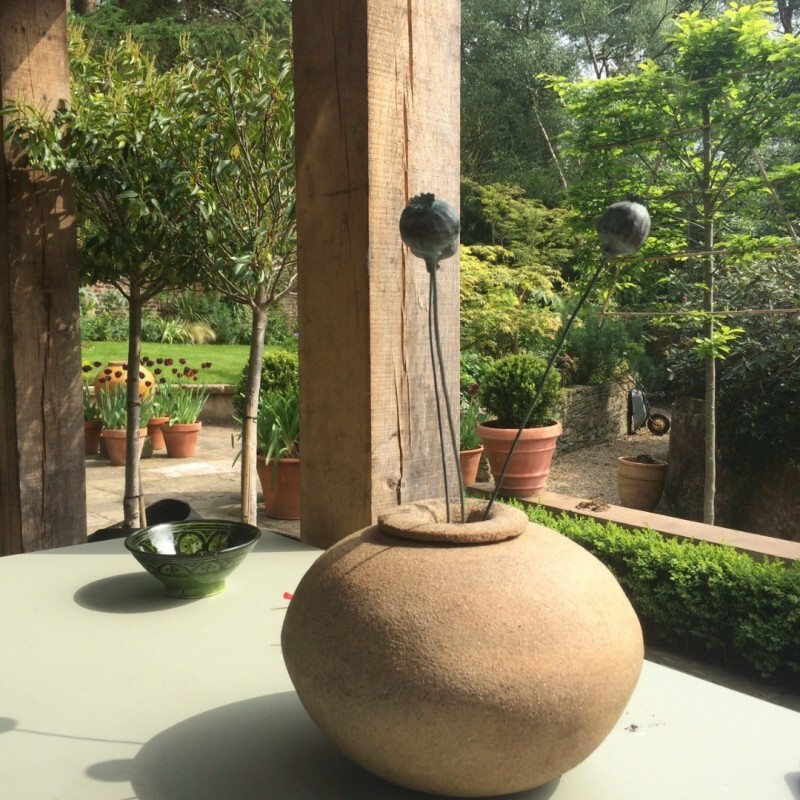 They can be used for display pots and vases indoors or outdoors. 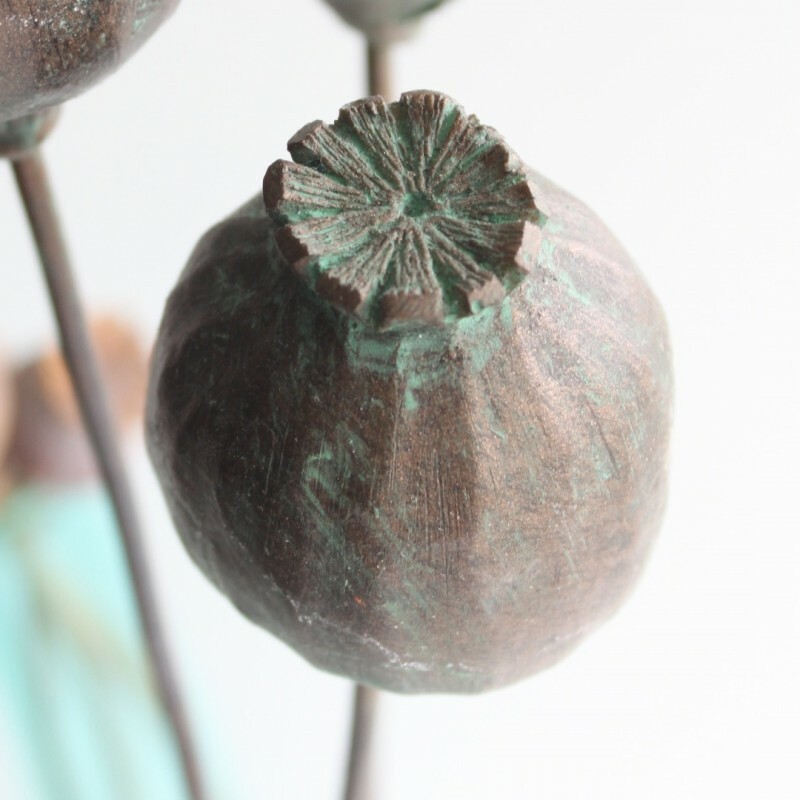 They range in length from 40-50cm and the seed head size is from approximatley 4cm-5cm in diameter. 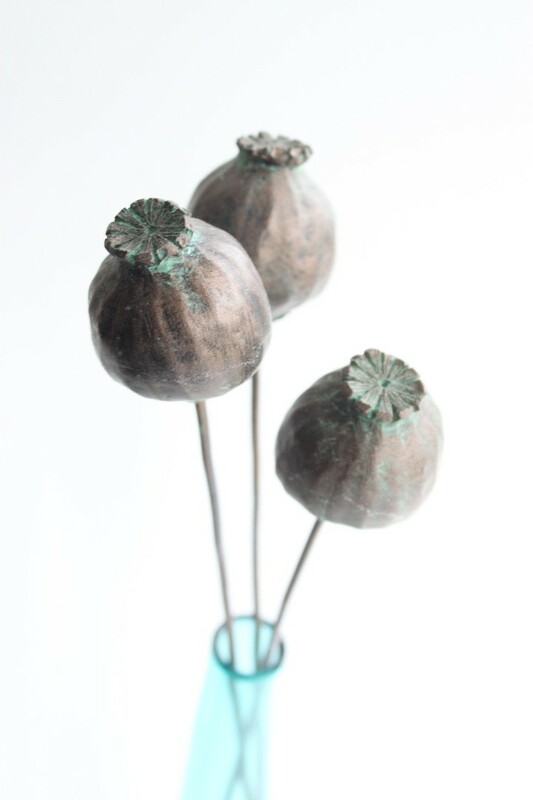 Each set will comprise of three different lengths to allow for vase display, the seed heads will sit at different heights to look their best. 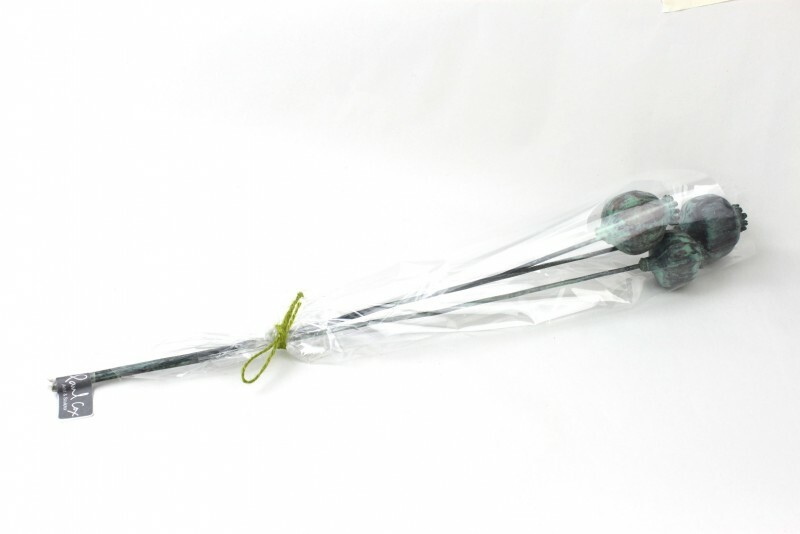 As each one is an individual item each one can be placed where ever you like and look particually effective in narrow neck bottleson their own or in groups. 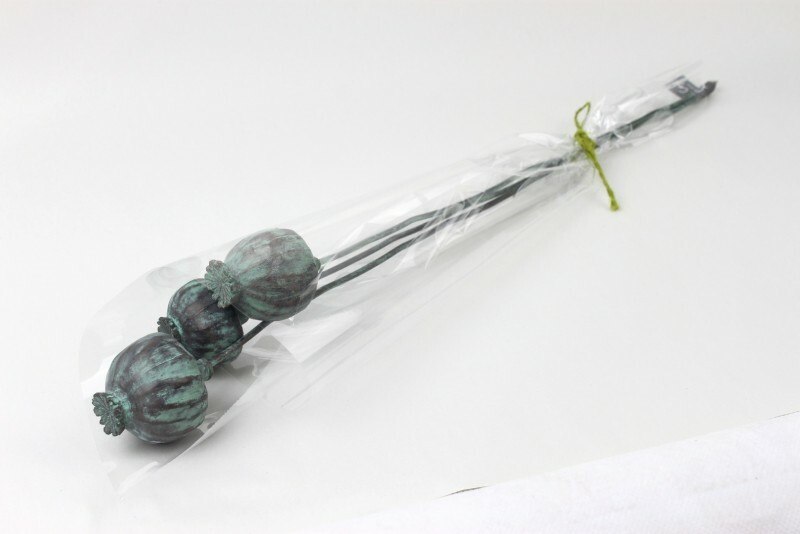 They can be made shorter by request just place your required size in the notes at the checkout when you place your order. 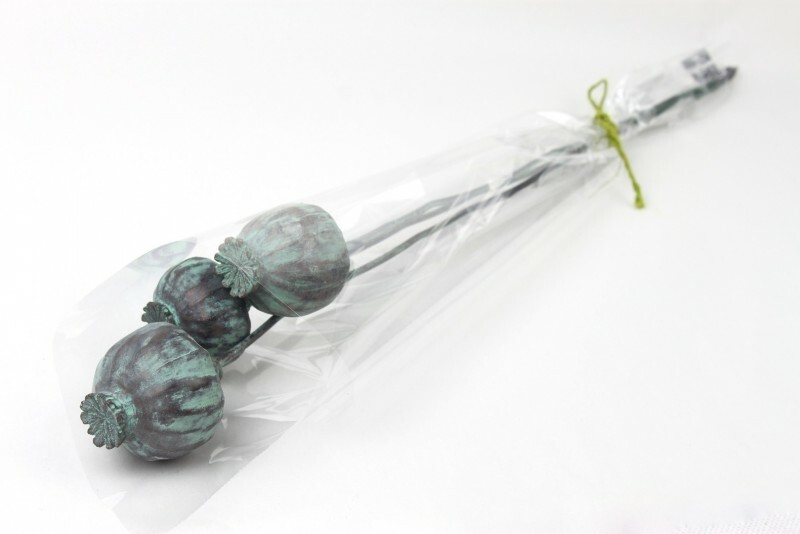 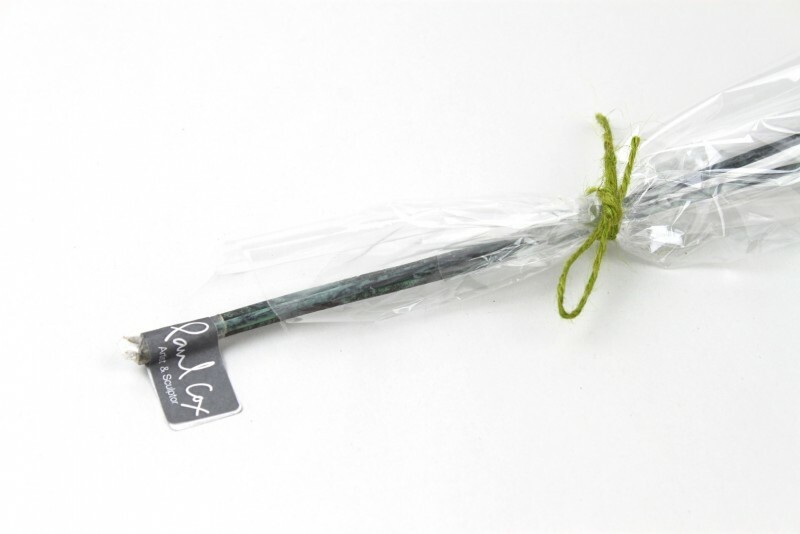 For indoor or outdoor display used for plant markers or decoration in a vase.